The TBS 6905 is a PCI Express interface digital satellite TV Tuner card with four tuners for watching and recording FTA (Free to Air) satellite TV on PC. The four tuners allow you to watch TV channel from one transponder/satellite while recording three other channels from different transponders/satellites in the same time. The TBS team have developed both Windows BDA driver and Linux driver up to the latest kernel for this quad tuner card Tested on. It’s compatible with Windows 7 Media Center and popular software like MediaPortal, DVBlink, DVBDream, DVBViewer, ProgDVB, Skynet, TSreader, XBMC, MythTV. 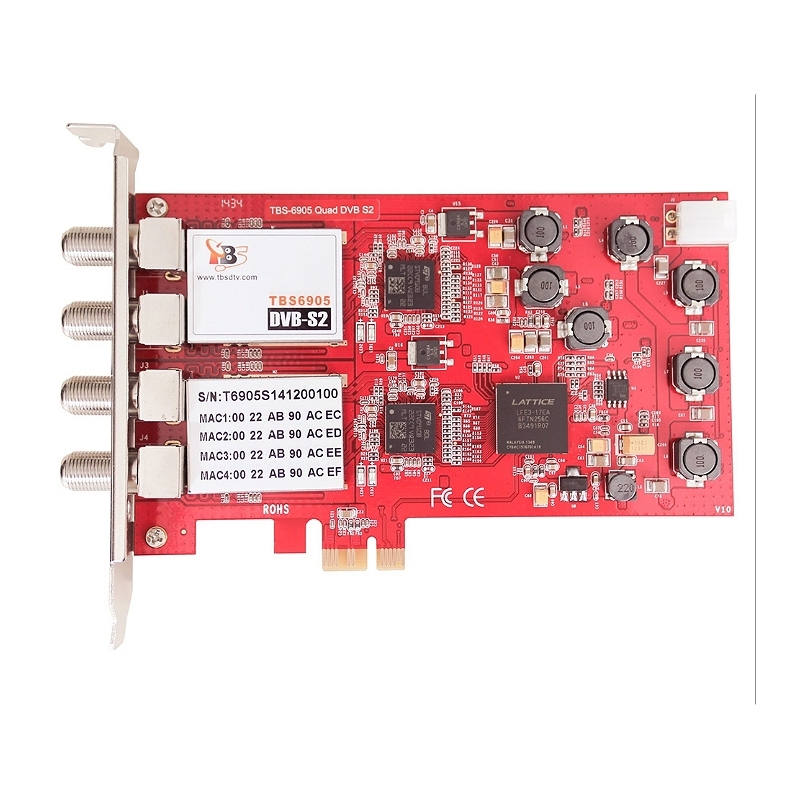 The TBS6905 PCI-E DVB-S2 Four Tuner TV card is designed to fulfill the needs of watching/recording multiple satellite TV channels on PC simultaneously. It’s the successor of TBS6985. With Single tuner TV card, you’re limited to watch or record one satellite TV channel at one time only. 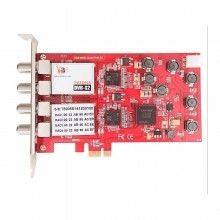 While with this quad tuner TV card, you can watch one channel and record three other channels at the same time. Even more if you want to make full use of the recording power of the TBS6905, you may record four whole TS (Transponder Stream), one of which could contains maximum ten, twelve SD or HD TV channels into your PC hard disk, in other words, you will be able to record up to 48 channels with TBS6905 at the same time. This feature contributes a lot especially when you are building up HTPC or IPTV streaming server. You can use it to watch any free to air satellite TV programs in your region including Freesat HD if you are located in the UK. By using appropriate software, e.g. MediaPortal and its’ plugins, you can stream satellite TV contents to your iPhone, iPad or iPod. Click the button below to add the TBS6905 DVB-S2 Quad Tuner HD Satellite PCI Express Card to your wish list.